Solar powered water system will allow for 24/7 access to water. The electrical grid is unreliable and runs only a few hours each day. Irrigation of the garden plot provides year round crop yields which improve child nutrition. Hand-washing stations provide children water to clean their hands and prevent the spread of disease. directly to projects in The Gambia. The Garden and Poultry Farm are both in place and production is excellent. The vegetables and protein are provided as lunch to the school children of Kerewan. 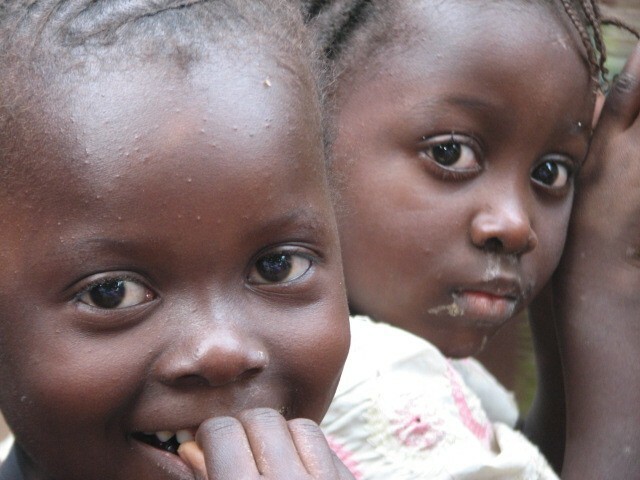 These children suffer from malnutrition. You may recall that because of poor nutrition, Kerewan had very low school scores. Now we are on our way to enhancing nutrition and subsequent improved learning for the children of Kerewan. The project has been a great success. The 2016 picture above shows the children helping to break ground at the garden initiation celebration. 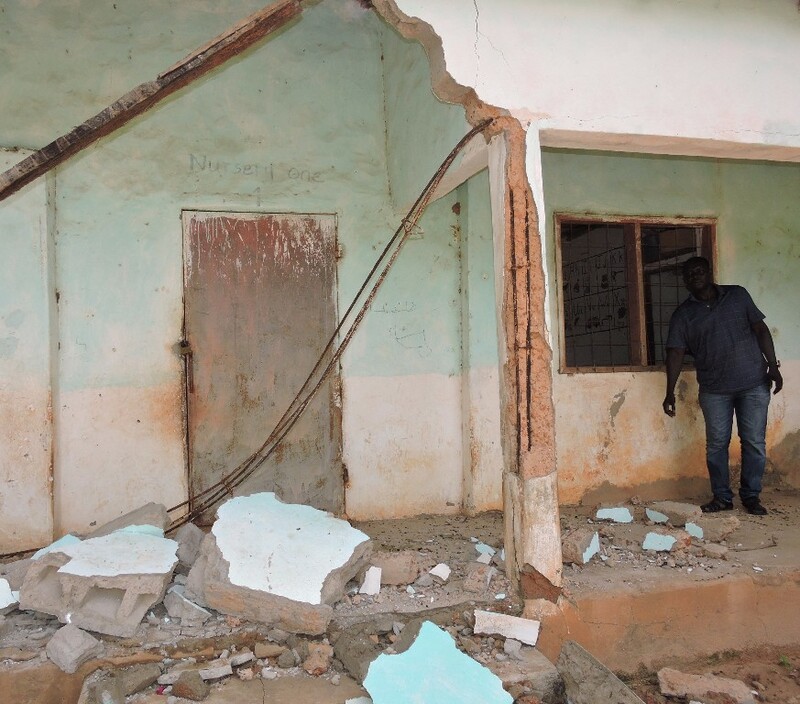 In July 2017, the nursery school building was devastatingly damaged during torrential rains. There are 100+ children aged 3-5 who attended this school. Now there is no place for them to go during the day except to work in the rice fields with their mothers. The food provided at the school via the garden and poultry farm is critical toward improving the dietary status of these children. This school needs to be rehabilitated in order to continue both the educational program and and nutritional support that occurs through the year. This is a school that is free for the children. The people of the village are very eager to rebuild the school as they have seen the great progress that has been made with their children. They are ready and willing to provide all the labor for the rebuilding of the school. The new school will have three rooms serving 35 children each. Fortunately, University Rotary, Rotary Club of Prosser, and Fajara Rotary (located in The Gambia) have stepped up to provide $4,500 for the building materials! We are thrilled and grateful for their support. Our big need now is to fund the furnishings for all three rooms of the school including: desks, benches, blackboards, chalk, paint for murals, and school supplies. Desks and benches must be made of a special hardwood so they will last and not be destroyed by termites. Learning murals for the students are painted on the walls as paper does not have a long life in the Gambian climate. In addition there are school supplies needed by the students and teachers. We are looking to raise $2,500 for the furniture, murals, and supplies. Donate Now. If you have any questions, please contact Director Shelby Tarutis at Shelby@GambiaHELP.org or visit our web site atGambiaHELP.org. GambiaHELP is recognized by the IRS as a 501 (c)(3) charitable/educational organization, so your contributions are tax-deductible. 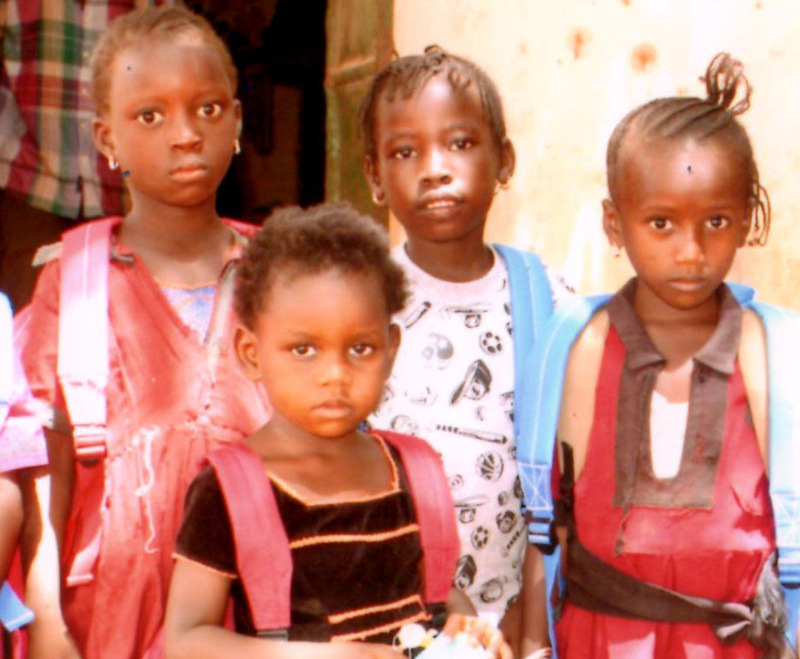 95% of all donations go directly to projects in The Gambia. In Kerewan, the chicken coop is built and ready to go. As soon as the rainy season subsides in November, villagers will purchase chickens and start managing the chicken farm. The garden was planted in February 2016 and is producing vegetables to support the school children. 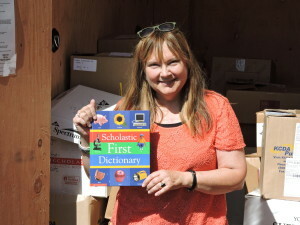 Thanks to all who helped with this project and to the Prosser Rotary who gave generously to the project. The solar powered pump, much needed at the Mbaye Kunda village, is now fully funded thanks to your donations to GambiaHELP and from donors who once lived in this community and now live around the world. We are waiting for a third bid on the project. We obtain three bids whenever a job is complex and when two bids vary widely. This is tough in The Gambia where written, detailed estimates are not the norm. However, we want to get the best equipment and the best result for your valuable donations. 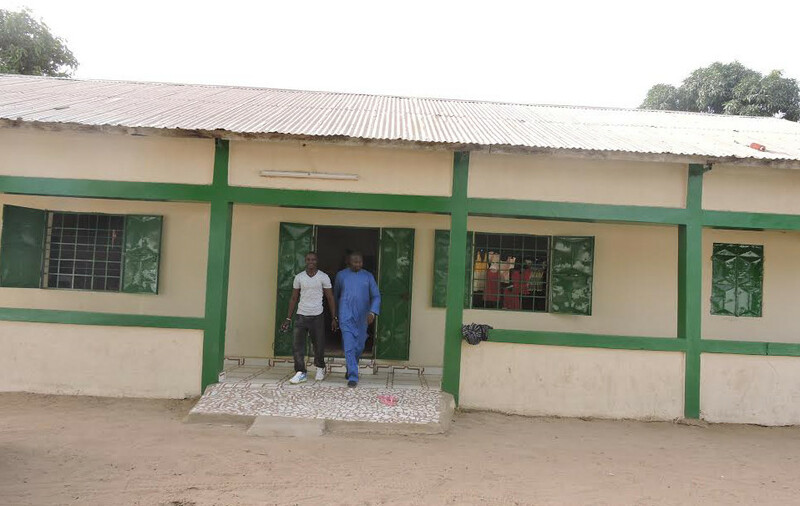 Our latest project is back – The Banjulinding Skill Center!This project was started in late 2014, when we raised funds to renovate a dilapidated building into a much needed community skills center. 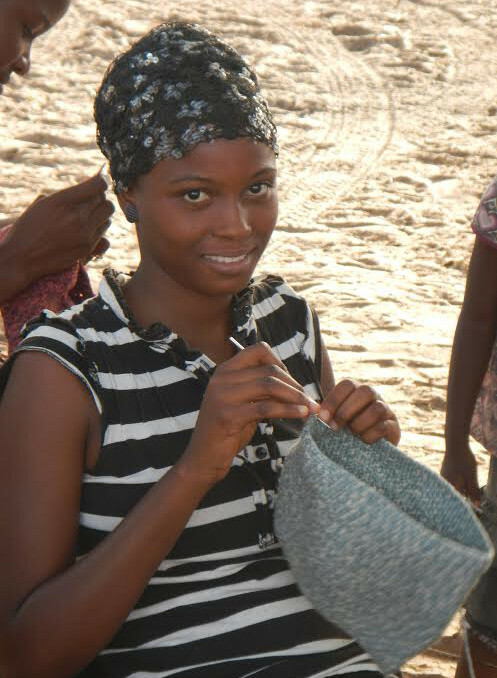 The center is used to promote sustainable projects like sewing, tie-dye making, crocheting, and knitting which support women and young girls who in turn support their community. Your donations and the support of the University of Washington Rotary have made a big difference. The Skill Center serves as a place for community meetings and events and has grown into a landmark resource in the area. The women’s groups use it to sew school uniforms for children, clothing for holiday and religious ceremonies, plus many other projects (drapes for doorways, phone cases, furniture covers, hats and purses) so there is much to celebrate. The issue now is to promote the sustainability of the projects. We plan to provide training to the women’s groups in the area so they better understand how sustainability works including making budgets, marketing their goods, and developing ways to put funds aside so that more materials can be purchased in the future. This is difficult in a poor country where there are always many demands on limited funds. However, we know we have good training available in three different languages that will help with this. Materials on the site have been depleted and need to be resupplied. After training, supply inputs will be reduced given the adaptive business model training. Total cost for this project is $5,000. Donate Now. If you have any questions, please contact Director Shelby Tarutis at Shelby@GambiaHELP.org or visit our web site at GambiaHELP.org. 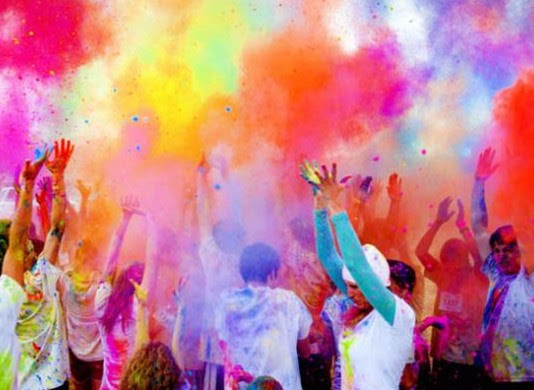 Color Dash – Fun for the Whole Family! View in your browser. A Fun Activity For All! Roosevelt High School has a pioneering youth branch of GambiaHELP founded just three years ago. Their service club has already raised one third of the funds needed to rebuild their sister school in The Gambia. By teaming up with the Color Dash, these Roosevelt High students will raise funds for new athletic equipment for their sister school in The Gambia. GambiaHELP and Mud Puddle Fittness are sponsoring this wonderful group of Roosevelt High Students in the Seattle Color Dash. We want you to participate too and make their work successful! It’s a family-friendly, untimed 1K / 2.5K / 5K Run/Walk – welcoming all shapes, sizes, ages, and abilities. Start white (we provide the Tee), and at each kilometer add blue, sprinkle green, splash yellow, spray orange, and finish strong in pink (all safe vegetable based colors). The Color Dash celebrates your community while brightening your outlook on life through just over 3 miles of laughter, color and fun. Walk, Run, Dash, Rock n’ Roll…whatever your method, get out there and Let the Color Move you. 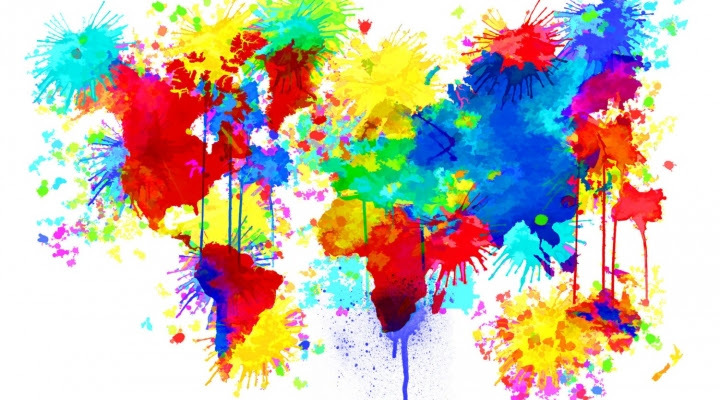 The Color Dash proudly gives 50% of the profit from all merchandise and each participant registration to local charities all over the globe. Contact Director Shelby Tarutis at shelby@GambiaHELP.org. Thanks to all our donors – we made over $3000 or about half the amount for the well project. Thanks so much for your help with this project! 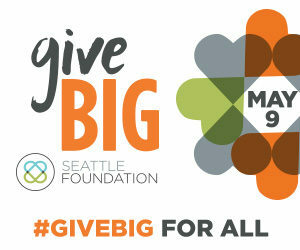 GambiaHELP is participating in The Seattle Foundation’s GiveBIG event for the fifth year! GiveBIG is an online charitable event to inspire people to give generously to nonprofit organizations who make our world a healthier and more vital place to live. 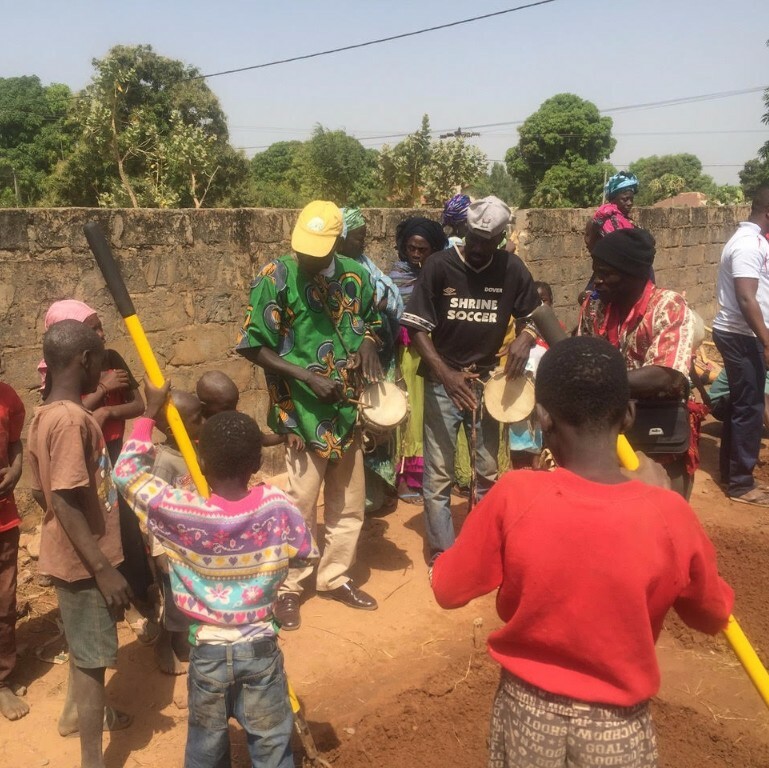 GambiaHELP Director Shelby Tarutis reports that the most urgent project GambiaHELP volunteers are working on now is a solar powered pump for a well in the village of Mbaye Kunda. The current water supply for the village is unusable for drinking or even washing. There is a secondary well, but the pump is in very bad shape and that’s what we want to fix. When the secondary well is not working, village women must walk miles for good water. As with all GambiaHELP projects, the village has committed to paying for 25% of the $6000 project. Thanks to our donors, the Kerawan sustainable project to improve children’s nutrition is well on its way. The garden is fenced and planted and the first blocks have been laid for the new chicken coop! We are working now on testing the children so we can measure their improvement. Thanks to all who made this possible. We are delighted that The Seattle Foundation is again including GambiaHELP on its list of nonprofits worth supporting. 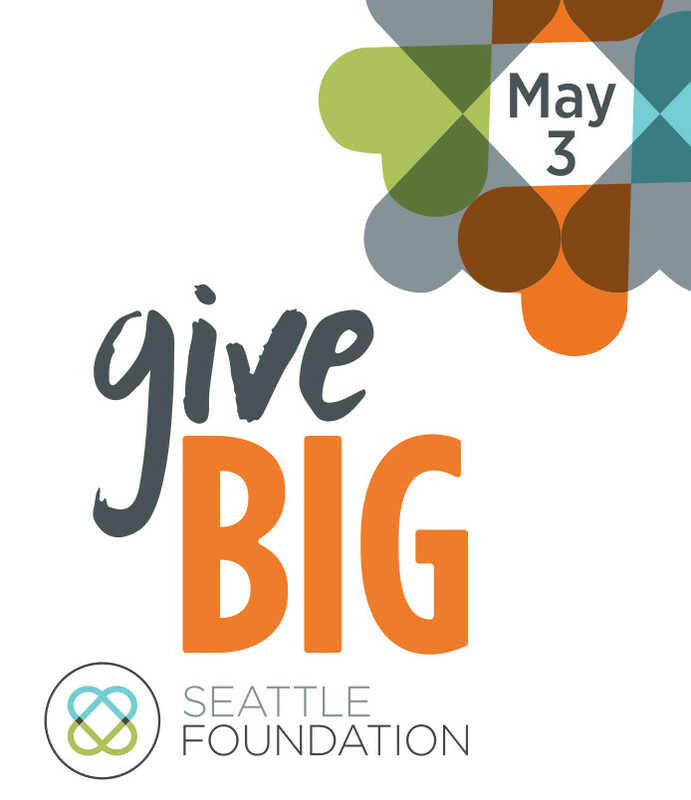 Now you can schedule your gift ahead of the big day – May 3rd – Donate Now and The Seattle Foundation will schedule your donation for May 3rd. All donations made through The Seattle Foundation website between now and May 3rd will be STRETCHED. 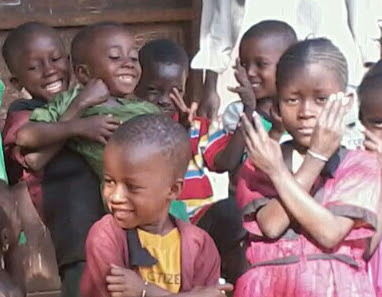 Tell your friends about The Seattle Foundation’s excellent “GiveBIG” program, and tell them about Shelby’s life project of bringing help and hope to The Gambia! Prosser Rotary has funded $3,500 for the chicken farm in Kerewan! We were also awarded $5,000 from University District Rotary! Along with all the wonderful individual donations received, we now have enough to complete the chicken farm which will bring much needed protein to the young students and provide a business for the village community which will help support the school. Much thanks to all for your help. We are so grateful for all these donations. Our next phase of the Kerewan project is to rebuild the school to provide a better learning place for the children. We will keep you informed on the progress of the Chicken Coop and the increased nutrition of the Children of Kerewan. And more good news! 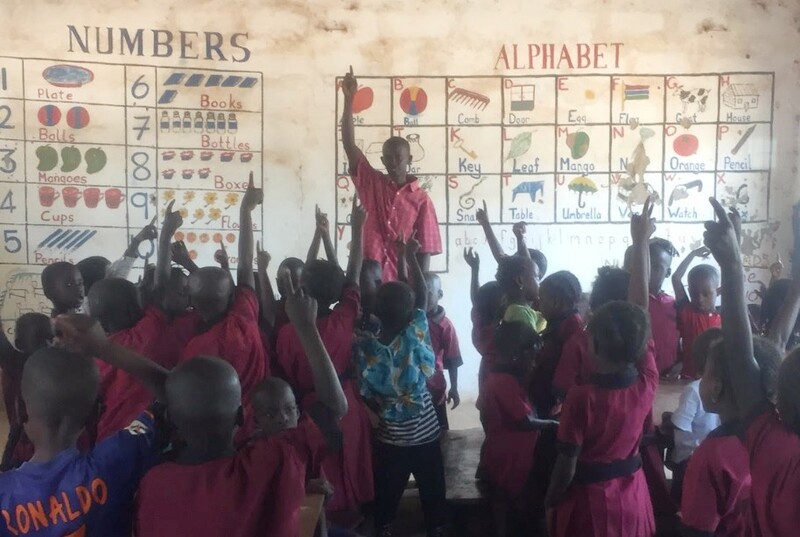 Ebrima and Sainabou Wadda made a generous donation to build a library in a village in The Gambia to help enhance education. Reading is a great gift for Gambian children. If you would like to help stock this new library with books, please see our library page. Since 1999 GambiaHELP has built over 50 libraries in The Gambia and has brought more than 100,000 books into the country. Many children have learned the joy of reading because of these libraries and the mentors that help the children when they are there. Donate to our libraries. 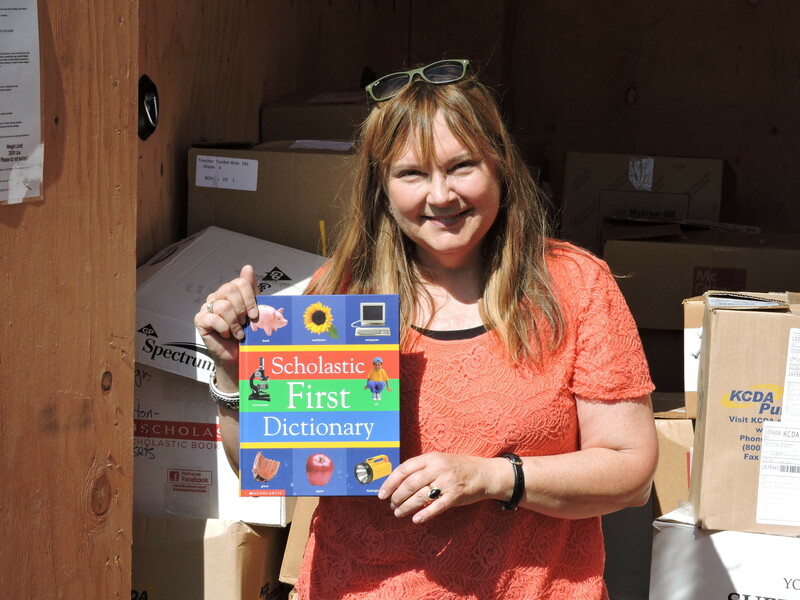 Book Sorting Volunteers needed on Saturday, January 23rd from 9:30am-12 noon at Hansen Brothers Moving and Storage, 10750 Aurora Avenue N., Seattle. Pizza and beverages will be served. Please help us build a chicken coop to support the malnourished children of Kerawan. This sustainable project will grow in the next 3 years and you will have a front row seat! Watch our posts as we build the chicken coop, gather eggs and provide much needed food to these children. The Chicken Coop will cost $6,000 for materials and labor – creating a sustainable village project for years to come. The Coop will house 350 chickens – enough to provide much needed protein to the village children. Donate Here – Thank you so much for supporting this nutritional intervention. Healthy bodies do build strong minds. Giving Tuesday starts now and runs through the end of 2015. 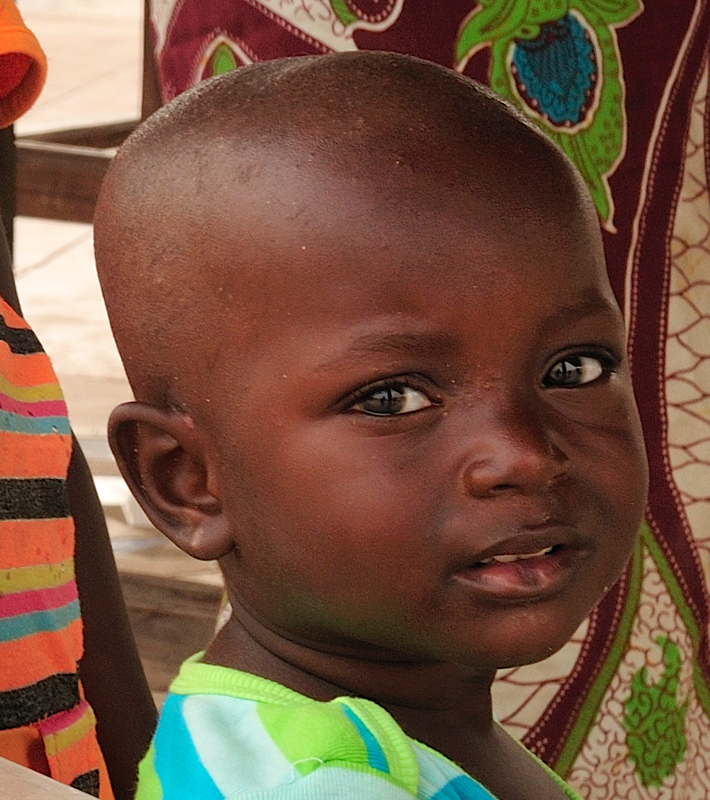 If you have any questions, please contact Director Shelby Tarutis at Shelby@GambiaHELP.org. We are so close to achieving this year’s goals! 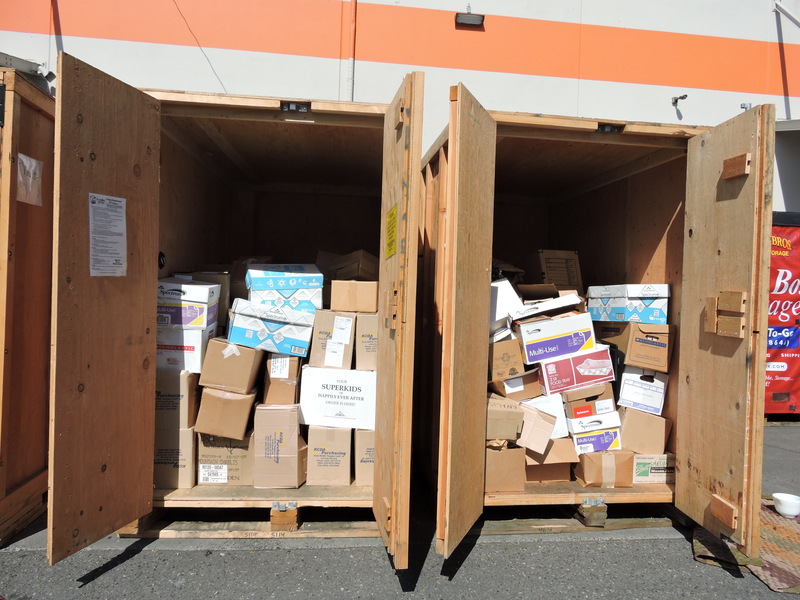 We are ready to send a shipping container of educational supplies, health clinic needs and other essentials to The Gambia, and near completing a chicken coop to accompany the vegetable garden in Kerewan. 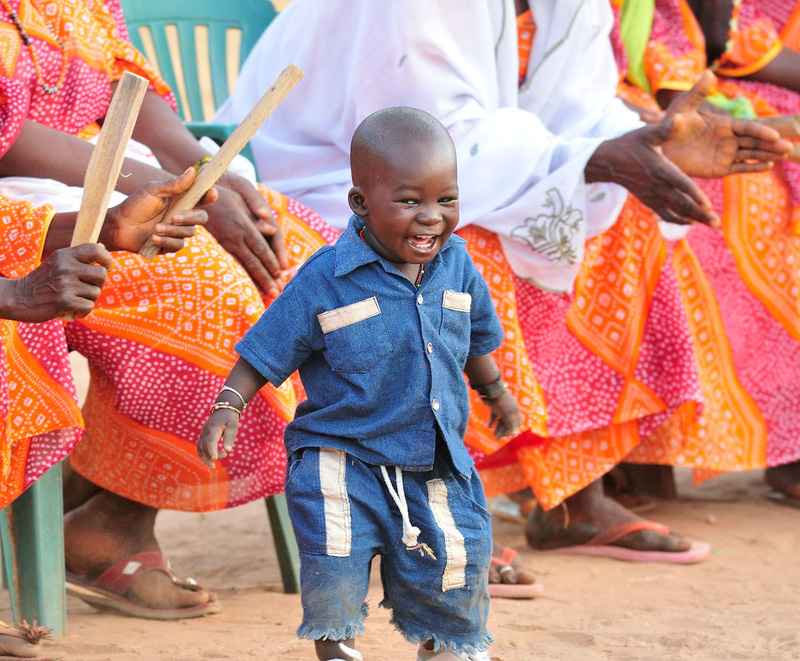 A little goes a long way in The Gambia, and your kick-starting contributions can turn these initiatives into long-term programs villagers can sustain and cultivate for years to come. If you would like to make a 2015 end-of-year contribution, please look for our upcoming announcement of “Giving Tuesday”, which starts November 24 and runs through the holiday season. The Banjulinding Skill Center, built by GambiaHELP supporters with special help from the University District Rotary, is now sewing school uniforms for children in the area. This is a perfect use of the center – a great opportunity for the women who sew the uniforms as well as a benefit to the local children. School fees for rural schools Sitahuma Primary and Jappineh Middle School have been paid by a generous donation from the California Montessori Project. Their continuing support for the past 8 years has given many children the everlasting gift of basic education. The Garden, including concrete enclosure and fencing, is complete. The gardeners have a full set of sturdy tools, and seedlings have been planted. Thanks to Prosser Rotary Club and GambiaHELP supporters we look forward to a nutritious harvest for the children of Kerewan! Dozens of bicycles and even more backpacks filled with school supplies have been delivered to children in the village. The breakthrough for this project will be the completion of the Chicken Coop, which will provide much-needed protein for the children. 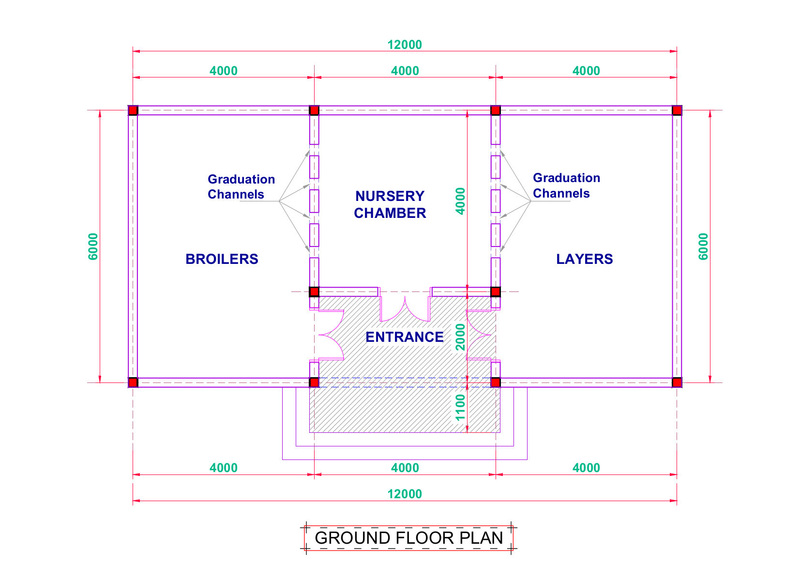 The coop is planned out, and will cost $6000 to build. It will be stocked with 350 chickens at about $2 each. These items will be welcomed with open arms by a number of villages, schools and medical centers throughout The Gambia. Thanks to all our donors for their generous gifts! We will be sending almost $25,000 worth of needed supplies to The Gambia. We do not have enough donations to send the container with all these fabulous supplies to The Gambia. The container costs $7,000 and we are definitely short this year. If you can help with a small, medium, or large donation to ensure that we can get these goods to The Gambia it would be greatly appreciated. Please DONATE ONLINE using PayPal or your credit card. All donations are tax deductible. For more info contact GambiaHELP director, Shelby Tarutis, at (206) 660-5826 or Shelby@GambiaHELP.org. Special Thanks to Seattle’s Hansen Bros. Moving and Storage for their great help. Thanks also to their generous staff for their unfailing support.